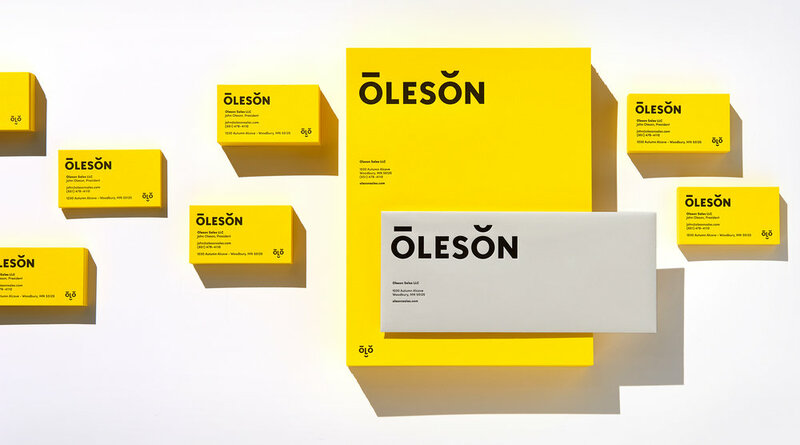 Oleson Sales identity designed by Abby Haddican. John Oleson is an electrical engineer with an extensive background in sales and client services. 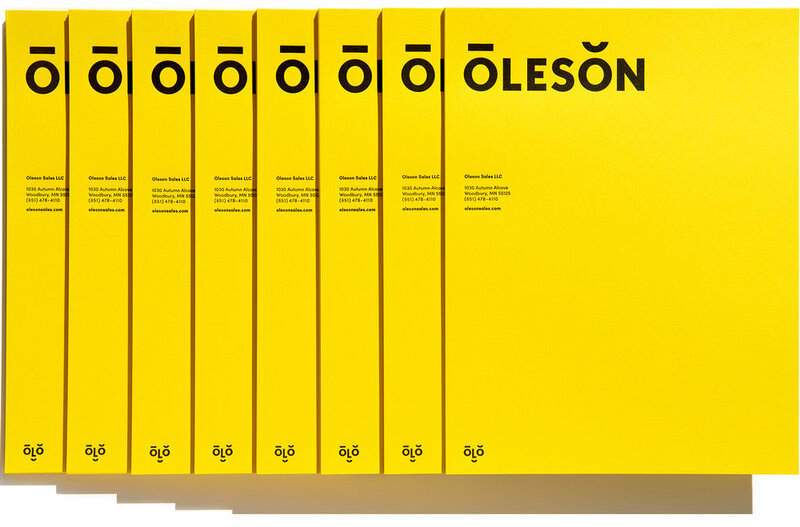 When John launched his business, Oleson Sales, his focus was on electronics equipment, but he wanted an identity that could scale to other industries as his company grew. With its diacritical marks, the logo I designed serves as a pronunciation clue for John's name, and is also a nod to his Scandinavian heritage. The two Os, the L, and their diacritical marks break out into a secondary, smiling logo, which provides a touch of levity and literally serves as the company's face on social media. 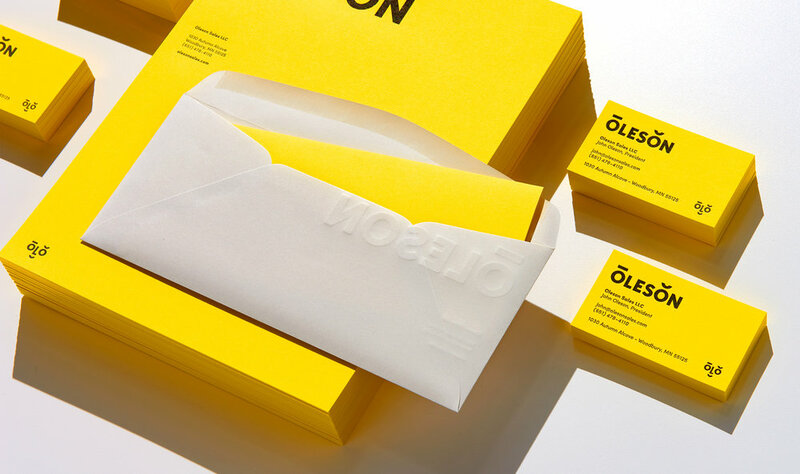 Letterpress printed on bright yellow Colorplan paper, the stationery system is bold, tactile, and impossible to miss. Thanks to Nomadic Press for its letterpress work, and to Ken Friberg for photographing this project.